One thing marketers have learnt in 2016, after going through the US election and several political issues, is that going political is very much like walking a tightrope. Some Hong Kong retailers, however, have benefited from taking a stance on chief executive CY Leung’s recent announcement to not seeking re-election for a second term of office in March. The deeply unpopular leader has a nickname “689”, which refers to the number of people who voted for him in 2012. Following the press briefing he held last Friday, mobile app Hong Kong Movie instantly celebrated his coming retirement with a 68.9 HKD Christmas box that was available only on that day. Similarly, speed-dating company 幸．匯Matching Loves and restaurant Sam Siu Bar + Grill (心燒食堂) launched number-related promotions on their facebook pages: Consumers can either join speed dating programs for only HKD 689, or get a can of free beer by saying “I want the 689 wine” to the restaurant’s waiter. Travelling mobile app Klook also launched a DQ689 social media Christmas campaign where the app will deduct HK$68.9 off a purchase of 689 HKD this month till 31 Dec 2016. “We hear you. 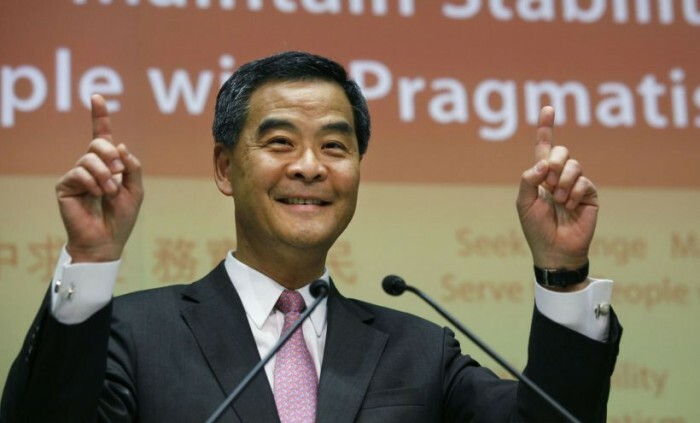 The pressure-relieving team will fully increase our productivity, and listen to what the citizen says closely,” said the caption, in response to Leung’s statement, “If I run my family will suffer unbearable pressure due to my electioneering.” Hashtags in the picture said, “#have a good journey #I am not seeing you off”. These retailers have earned much media exposure and likes on Facebook. But some political issues might be too sensitive to be mimic in any format. 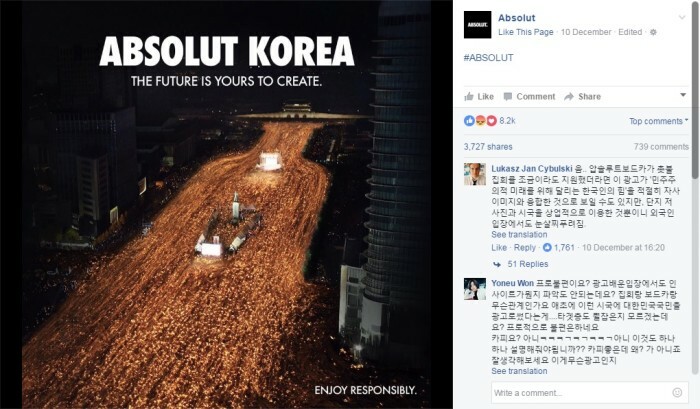 For instance, an advert on Absolut Vodka Korea’s Facebook page featuring historic protests against President Park Geun-hye, is met with thousands of “angry” emojis on Facebook by South Koreans. “Linking citizens with candlelight to a liquor bottle? It makes me think that the protesters were soaked or something,” said a Facebook user. Haresh Khoobchandani, group CEO of iProperty Malaysia and Singapore explains why it is just so hard for the region to leave behind..